So, I spent this past Summer in Portland, OR. I'd been through a few times before, but never for more than a couple days. Whenever I find myself in a City I'm not all too familiar with I always pick up the local free paper to help get a finger on the pulse of the City. Portland has two of these papers, The Willamette Week and the Portland Mercury. I like both, but I found in The Willamette a section which appeals to me in particular. It's a section, about half a page, of just portraits of Portlandians from all walks - no names, no captions, just portraits. I arrived back in Anchorage the last week of September. The first week of October I pitched People of Anchorage to the Anchorage Press. For those who may not be familiar with the Press, it's Anchorage's version of Portland's Willamette and Mercury papers. 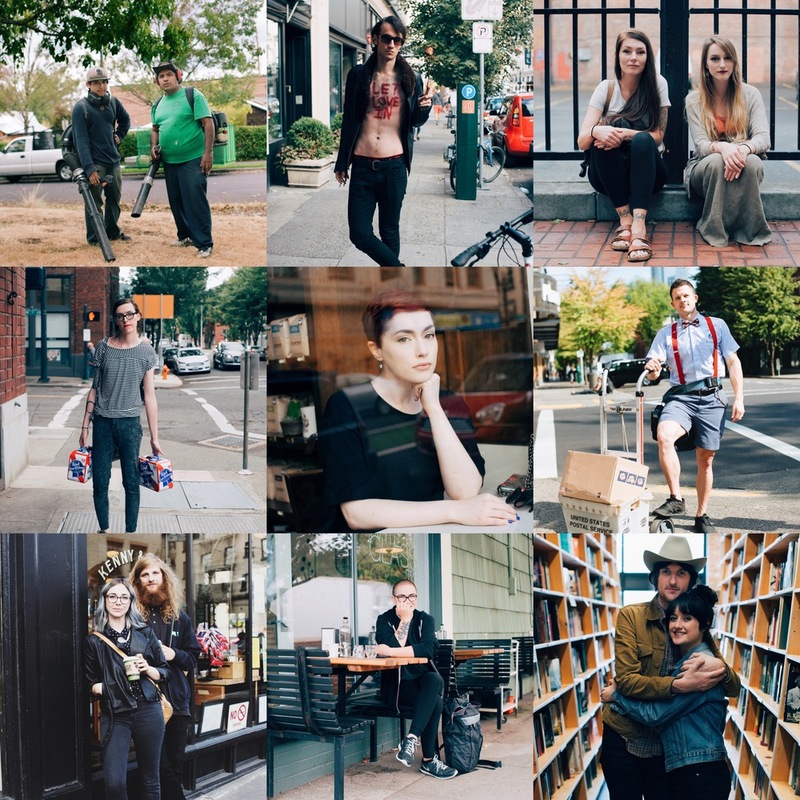 In my initial email to the Editor I included a grid of nine portraits I shot in Portland over the course of Labor Day weekend. The nine images were part of a larger set, The Portland 100, which was an attempt to photograph 100 stranger portraits over that 4-day day weekend. I made about 70 portraits before time ran out on the project. People of Anchorage is an exploration, through portrait photography, of Anchorage's people & environment and how the two intertwine. I reckon that if you asked me to define this project a year from now, I'd probably give you a completely different answer. I say that as just in the short time that I've been photographing this project, I find my thoughts on it constantly changing. Just prior to leaving for Portland last Summer I undertook what could be best described as a Portrait a Day project which quickly affirmed what I already knew. I like working in short bursts of inspiration rather than forcing the issue. Portrait a Day - From Left to Right : Misha Skulstad in the backyard of her Westchester home. Ella & Amanda at Gay Pride in Downtown. Stefanie waiting on a bus in Downtown. All Photos, Anchorage. Summer 2015. Nick Jenkins out for a walk with his son, Cedar and his Pup, Bora. Mountian View, Anchorage. January 2015. Misha Skulstad at Alaska Federation of Natives in Downtown, Anchorage. October 2015. West High School Senior, Paul Marsch, raking leaves on his Hoverboard in South Addition, Anchorage. October 2015.